Unlike some other modern individual sports – such as tennis and golf – the best chess player in the World is determined through the ‘World Championship Cycle’ rather than a ranking system or a series of ‘Majors’. Chess does have a ranking system – and there is significant status in being the number 1 ranked player – but the prestige of the being the World Chess Champion is the highest honour. Every two years the World champion must defend his crown against a challenger whom has fought their way through a tough qualification process. In this way chess is similar to boxing – if the Champion loses the title fight / match then they lose their crown. Which brings us to the 2018 World Chess Championship match between the champion, Magnus Carlsen or Norway and his American challenger Fabiano Caruana. The match takes place in London from 9th November to 28th November. The match consists of 12 games and if the score is still tied the two players will play a further four ‘rapid’ games of chess to determine the winner. This match is arguably the most anticipated match for a generation for a number of reasons – the main one being that there is a growing sense that the champion is under real threat of losing his crown to his younger opponent following a year where he has been systematically out-performed. 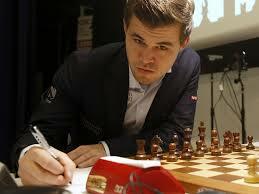 The mercurial Carlsen, 27, is considered by many to be the strongest chess player of all time. Having become a Grandmaster at the age of 13 Carlsen wasted no time in shooting to the top of the world rankings in 2009 at a barely believable 18 years of age. And except for a brief few months in 2010 that is where he has stayed dominating the game by winning tournament after tournament in all formats of the game. Despite holding the number one ranking position Carlsen didn’t become World Champion until 2013. He earned the right to face Viswanathan Anand, the legendary Indian Grandmaster and former World Champion, by winning the Candidates tournament in London in March 2013. The match took place in Delhi, India. Despite competing in his opponent’s home country Carlsen was a huge favourite and duly won the match convincingly with 3 wins, 7 draws and no losses. Since that match he has successfully defended the title twice in matches in 2014 (again against Anand) and 2016 in New York city (versus the Russian Grandmaster Sergey Karjakin). However, in the past couple of years Carlsen has been far less dominant and it is no longer the case that he is entering tournaments as the clear favourite. Arguably he is now the first amongst equals with an elite group of four or five players. 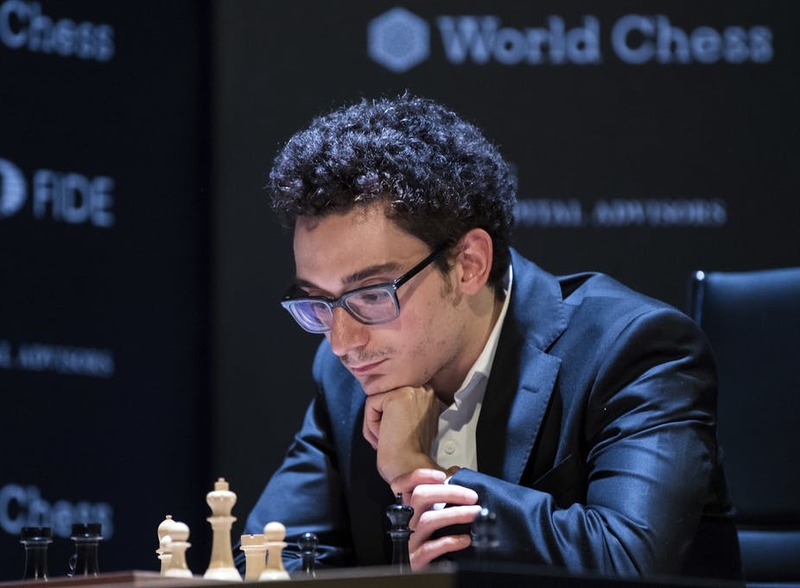 The challenger, Fabiano Caruana, 26, has had a superb 2018. In March he won the very strong Candidates tournament in Berlin with a score of 9 / 14. The Candidates are held every two year and feature eight layers who have qualified through various pathways (Caruana qualified based on his world ranking). Each player played each other twice (once with each colour) for a total of 14 rounds. The Candidates is considered the hardest event to win in chess as every player prepares so seriously and thoroughly for the event. Caruana was run close by the Chinese player Ding Liren and Shakhriyar Mamedyarov from Azerbaijan but eventually prevailed following a win in the last round over the Russian Alexander Grischuk. Caruana followed up this result with several other excellent results throughout 2018. He won the Grenke Classic (6.5 / 9) ahead of Carlsen, finished 2nd in the US Championships (8 / 11), won the 6th edition of Norway Chess (5 / 8) again ahead of Carlsen and came joint first at the Sinquefield Cup (5.5 / 9) alongside Carlsen and Levon Aronian. It is by consistently finishing ahead of Carlsen in 2018 that Caruana has established himself as a real threat to the World champion in November. Each player has one more event before the Match. Caruana is representing the USA in the Chess Olympiad (the chess equivalent of the Olympics) in Georgia from 23rd September to 6th October. The USA are the reigning champions and with an in-form Caruana will be amongst the favourites. Carlsen has declined to compete in this event for Norway and is instead playing in the European Club in Greece from the 1th – 19th October. Following these events the players will likely have a final training camp before getting some rest before the big event. There will be many websites covering the match in detail.